Following the manufactures recommended Maintenance Schedule will keep your vehicle in top condition and help avoid costly repairs in the future. The recommended scheduled service intervals for most German vehicles are usually at 20,000 miles / 40,000 miles / 60,000 miles / 80,000 miles and 105,000 miles. The actual services performed vary by year, make and model. German Car Depot’s technicians follow the manufactures check list and perform every service, repair and inspection required. A detailed service history is maintained, this will ensure your warranty stays intact and will add to your vehicles resale value. 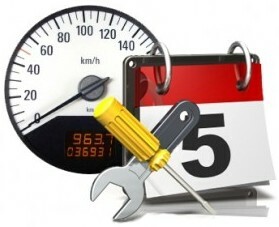 As automotive technology changes, automobile manufactures may update their service and maintenance schedule requirements for vehicles built years earlier. The German Car Depot technicians have access to the most current maintenance specifications and Technical Service Bulletins issued by the automobile manufacturers. German Car Depot’s technicians use the same specialized diagnostic equipment and service tools as the dealership service departments.